Samsung is offering Rs 17,991 flat discount on Samsung Evo 512GB microSD card and up to Rs 15,000 additional cash discount on the Galaxy Note9 in India. Samsung launched the Galaxy Note9 in late August in India. It is available in two variants--6GB RAM + 128GB storage and 8GB RAM + 512GB—for Rs 67,900 and Rs 84,900, respectively. As part of the '1TB Challenge', it is giving away Samsung EVO Plus 512GB memory card worth Rs 22,900, at a discounted price of just Rs 4,999, provided the consumers buy top-end Galaxy Note9 model along with it. With EVO Plus 512GB microSD storage, Samsung promises best-in-class performance, excellent compatibility and long-term reliability with an exceptional user experience and convenience. The company claims consumers can record up to 24 hours of 4K UHD video or 78 hours of Full HD video on their mobile device. The new microSD card also supports high reading and writing speeds of up to 100 MB/s and 90 MB/s, respectively, and comes with 4-Proof Technology, which makes it water, magnet, X-ray and temperature proof. Also, Samsung is offering additional Rs 9,000 cash back on the Galaxy Note9 via exchange deal. Furthermore, HDFC card (debit or credit) users can claim Rs 6,000 instant discount. Adding to that, Samsung will throw open "1TB challenge" contest on Social Media starting this week, inviting people from across the country to share their memories of 2018 through WhatsApp, and three lucky participants will be given Galaxy Note9 1TB ready devices. 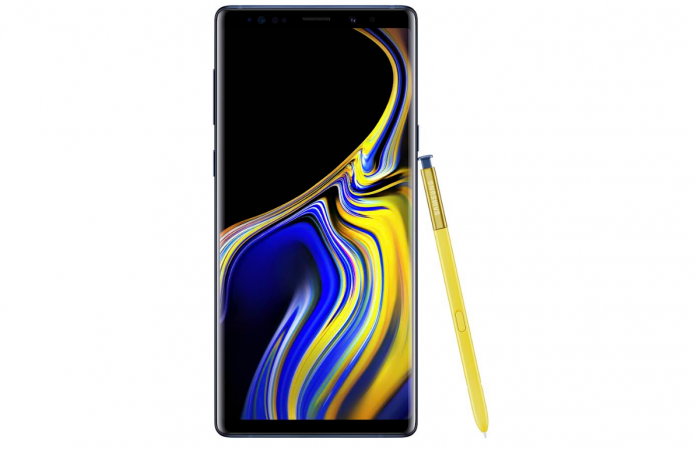 Considering the powerful hardware of the Galaxy Note9 with 1TB ready storage (512GB onboard + 512GB microSD) and versatility of the companion stylus- S Pen, this is the best time to buy the Samsung flagship phone. This offer is valid until December 31. For the uninitiated, Galaxy Note9 is almost identical as the Galaxy Note8 with Infinity Display having dual curved edges on the sides, but we are not complaining, as the company has made some meaningful facelift on the back side. In the predecessor, the biometric sensor is placed just beside the camera. This caused the device owners to accidentally touch the latter, leaving smudges on the camera lens. This time, there will fewer chances of that issue recurring. Another huge upgrade in the Galaxy Note9 is the S Pen. For the first time ever, the company has integrated a Bluetooth modem right inside the stylus. With this, device owners will be able to use S Pen to control music tracks and volume, take photos, flip camera view from the main rear-side camera to front-snapper mode for selfies without having to physically touch or open the smartphone. The company has claimed that third app developers will also be able to code functionalities for the S Pen and be able to add more capabilities to the stylus later in the year. However, the S Pen, which now has a Bluetooth modem inside, has to get charged to work. That's won't be an issue at all, as it gets automatically charged wirelessly inside the phone. If the company is to be believed, just 40 seconds of charging is enough to power the S Pen for one hour. That's not all; the Galaxy Note9 comes with another big upgrade. It houses a massive 4,000mAh cell, 700mAh (21%) more than the Galaxy Note8 (3,300mAh). It also boasts fast charging and a wireless charging capability. In India, Galaxy Note9 houses Samsung's proprietary Exynos 9810 Octa-core CPU processor, which is on par with Qualcomm Snapdragon 845, which are found in the second variant, also heading to US, China, Japan and other select nations. As far as the camera is concerned, it houses same camera hardware as seen in the Galaxy S9 Plus, but the module is horizontally arranged. 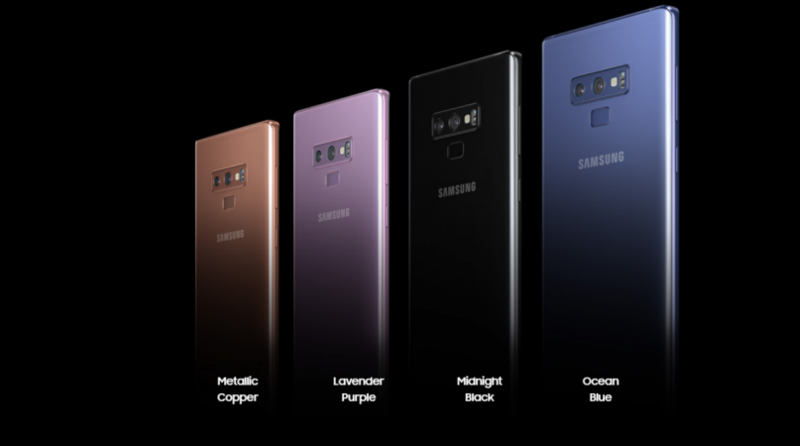 The Galaxy Note9 houses 12MP (Wide-angle lens)+12MP (Telephoto lens) sensors with LED flash (& heart rate sensor). It boasts variable dual aperture (F1.5 and F2.4), AR Emoji capability, slow-motion video recording and Optical Image Stabilization (OIS). On the front, the Galaxy Note9 houses an 8MP wide-angle sensor with F1.7 aperture and is complemented by several sensors including facial recognition sensors, which enables the device capture Augmented Reality photos of the user to create 3D emojis, Samsung's answer to Apple iPhone X Animoji feature, but the latter's utility is very limited, as it can only be used on iMessage app, whereas the former allows users to share them on all messaging apps and social media sites. It also comes with Iris pattern scanner to unlock the phone. The company has already started Android Pie beta programme for the Galaxy Note9 and is expected to release the final version to the public in early January 2019. S Pen Comes with inbuilt Bluetooth modem. With this, device owners can use S Pen to control music and volume, take photos, flip cameras from main to front for selfies without having to physically touch or open the smartphone. The company has added that third app developers will also able to code functionalities for the S Pen and be able to roll out new functionalities later in the year.